As with all big tech secrets, the existence of Fallout 4 was a bit of a leak. Apparently, an artist for Miranda Studios (Luis Neves) had listed his work on the Fallout 4 trailer on his Linkedin profile. The profile has now been removed, but it was there long enough for news to get out. Miranda Studios (owned by Guillermo Del Toro) specializes in 3D cinematic trailers, so it is likely that their Fallout 4 trailer will show no actual gameplay footage. However, Bethesda knows how to play their fans. They did an excellent job with Skyrim by feeding us breadcrumbs of content all the way up to the release date. I have no doubt that they have used their long silence about this game to generate plenty of goodies for us to consume. Some Bethesda fans are less-than-thrilled about this lackluster confirmation of Fallout 4, but I couldn’t be more excited. Sure, it isn’t the big fireworks show of a trailer we were sure would confirm our suspicions, but it’s enough to get the gears turning until E3. What do you think Bethesda will show us at E3? 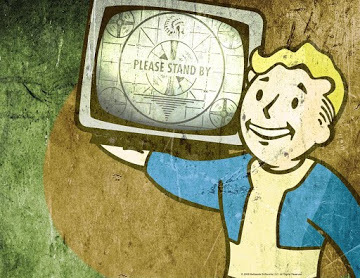 What new content would you like to see in Fallout 4? Let us know in the comments below! This entry was posted in Geek News, Suzanne and tagged Fallout 4, Games. Bookmark the permalink.